Star striker Wayne Rooney earned a place in his club Manchester United's record books for yet another time as he guided the 'Red Devils' to an impressive 4-0 Europa League win over Feyenoord. Rooney got the opening goal against the Dutch side at Old Trafford on Thursday to score for the 39th time in Europe, matching Ruud van Nistelrooy's club record. He is now only one goal away from equalling Bobby Charlton's all-time club scoring record of 249 goals after setting United on the way to a welcome victory. Juan Mata and Jesse Lingard also netted either side of an own goal by Brad Jones and United now need only draw away to Zorya Luhansk in their final Group A match to qualify. "It was a good win. 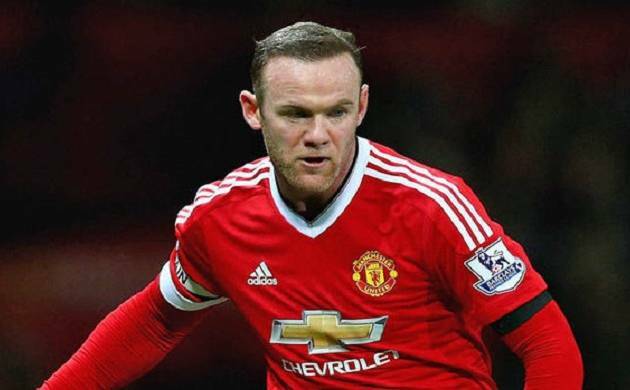 We are pleased to get four goals," Rooney said. "The second goal killed the game. At 1-0 you never know what can happen. It's a great feeling to score goals for this club. I am pleased and there is plenty more to come." Fenerbahce are top of the section after beating the Ukrainian side 2-0 in Istanbul with second-half goals by Miroslav Stoch and Simon Kjaer. Meanwhile, Southampton's hopes of reaching the knockout rounds remain in the balance after Claude Puel's side lost 1-0 away to Sparta Prague in the Czech Republic. A solitary first-half goal by Zimbabwean full-back Costa Nhamoinesu, firing a Borek Dockal free-kick past Fraser Forster, was the difference between the sides at the Generali Arena. "I think we played a good first half without a clinical edge, but after we lost the structure in the second half to keep our calm. It was not enough to win this game," said Puel. Southampton could have clinched qualification in different circumstances but instead they now face a decisive final Group K game against Hapoel Beer-Sheva at St Mary's next month, while Sparta progress as group winners. "Now it's important to keep our concentration," added Puel. "We have to play a very good game for the next game at home to make sure we qualify, for the players and fans." In Israel, Hapoel came from two goals down to record a remarkable 3-2 win over Inter Milan, whose troubles continue as they are eliminated. Goals from Mauro Icardi and Marcelo Brozovic had the Italian giants in control after just 25 minutes. However, Brazilian striker Lucio Maranhao reduced the deficit on 58 minutes and the Nigerian Anthony Nwakaeme equalised from the penalty spot after Inter goalkeeper Samir Handanovic had been sent off. Ex-Chelsea striker Ben Sahar then came off the bench to score a stoppage-time winner at the Turner Stadium. Southampton and Hapoel are level on seven points apiece and the Premier League side must either draw 0-0 or win on December 8 if they are to reach the last 32. Elsewhere, Roma secured their place in the knockout phase as winners of Group E after Edin Dzeko netted a hat-trick in a comfortable 4-1 win at home to the Czech champions Viktoria Plzen.